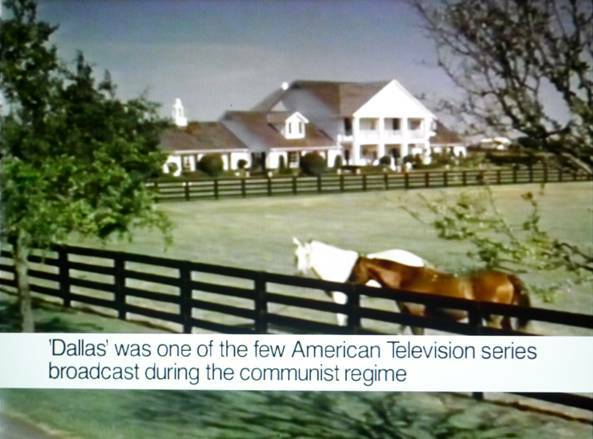 Sean Snyder, Dallas Southfork in Hermes Land, Slobozia, Romania, 2001, video still. 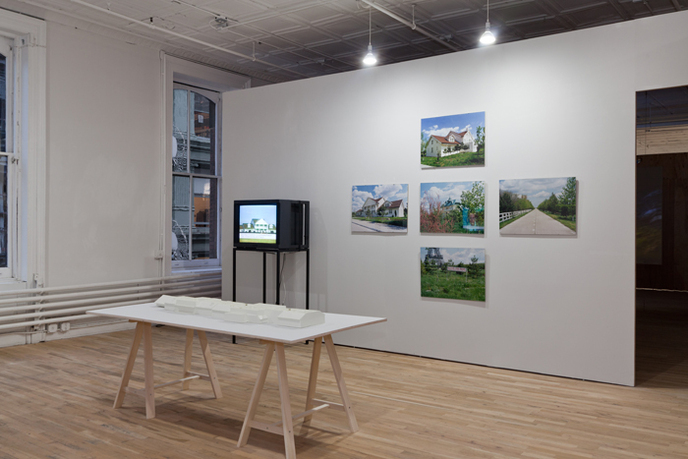 Sean Snyder occupies a unique international territory between urban research, investigation, and art. 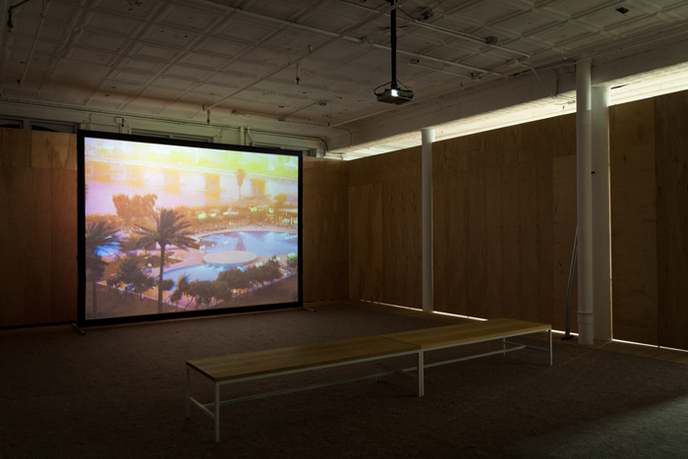 Snyder's installations, comprised of videos, photographs, texts, architectural models, documentation, and ephemera, revolve around concerns of representation and categorization of how information is displaced and distributed. His works rigorously investigate subjects ranging from urban planning, architecture, and news to the modes of technology that record, store, and disperse that information. His work also focuses on how new technologies control and impact urban space—often focusing on urban political conflict zones such as Iraq, Israel's West Banks, Macedonia, and North Korea. 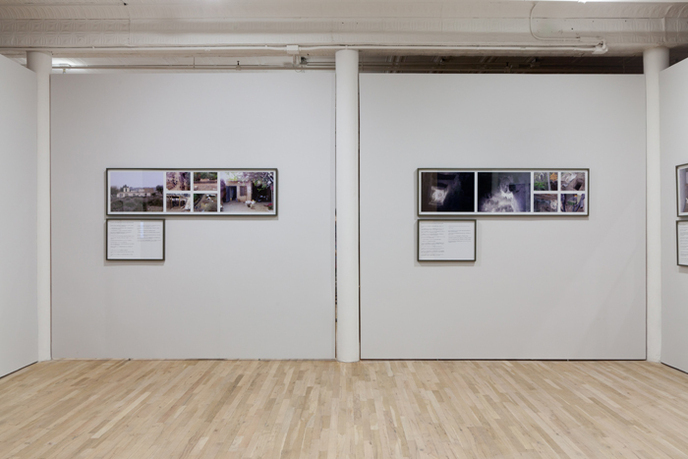 Snyder's research-based practice explores ideas of accessibility, transparency, and the limitations of what is visible, negotiating power relations inherent in the sites of visual culture consumption, of which urban planning and architecture is increasingly a part. Sean Snyder takes the global circulation of information as the operating ground for his work. His videos, texts, and image-based data presented in the form of installations or publications, form the material evidence of systematic research into the intrinsic codes of technologically produced and processed imagery, overt montage, and propaganda techniques, all of which explore ideas of accessibility, transparency, and the manipulation of information. Snyder draws his material from a variety of sources, including official news channels, information databanks, press agencies, and governmental bodies, as well as personal homepages, digital and material archives, and clandestine websites. Through case studies, which have examined the world of urban planning, architecture, and the news media, Snyder retraces the strange and often surprising shifts in meaning that information undergoes in the process of translation from one ideological system to another, while avoiding any definitive interpretation. Sean Snyder lives and works in Kiev and Tokyo. Stefan Kalmár, curator and director, has held positions as director of Kunstverein München (2005–09); director of the Institute of Visual Culture, Cambridge UK (2000–05); and curator of Cubitt Gallery, London (1996–99). He has curated numerous exhibitions, including The Secret Public: The Last Days of the British Underground, 1978–1988 (cocurated with Michael Bracewell ); Oh Girl: It is a Boy, (cocurated with Henrik Oleson); and he Archive of Stephan Willats (cocurated with Emily Pethick). He has also worked with numerous artists on a range of projects, including a survey exhibition of the work of Allora & Calzadilla; the exhibition project Beugung (with Wolfgang Tillmans); and the first European survey exhibitions of Hilary Lloyd and Duncan Campbell. Kalmár is the editor, together with Daniel Pies, of the forthcoming publication Be Nice Share Everything Have Fun (Walther Koenig), which will discuss the curatorial approach during his directorship in Munich. Founded in 1972, Artists Space has successfully contributed to changing the institutional and economic landscape for contemporary art in New York City—lending support to emerging ideas and emerging artists alike. Today, Artists Space is a place for discussion and examination that proposes new modes of production, setting new relations into play and shifting its focus away from the presentation of works alone —ultimately, as a center for new ideas in a radically changing world.